Elaborate Bansky Oscar Campaign or Mr. Brainwash Street Art? 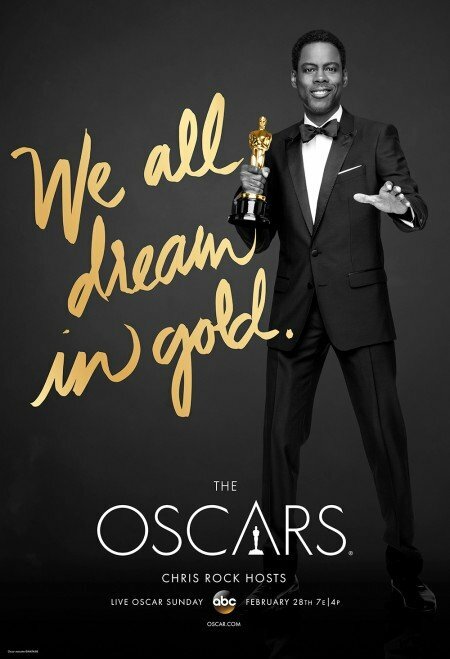 But has Bansky begun an Oscar Campagin for his nominated film or is this just another street art piece by Mr. Brainwash? Hit the jump to see the full picture and you can decide for yourself. 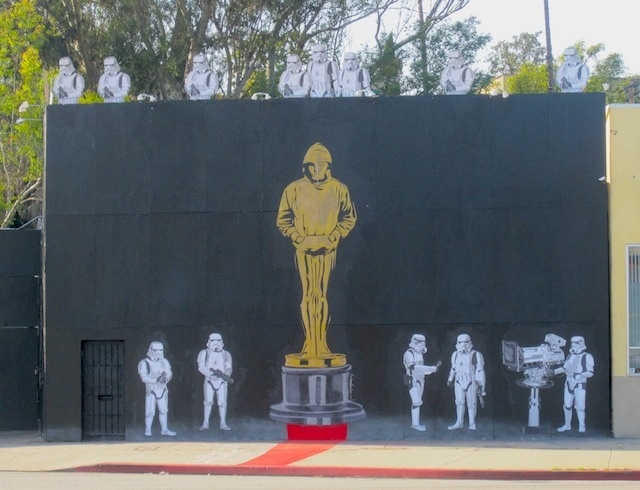 LAist (via Slashfilm) has found a mural depicting the famous Oscar statue dressed in a sweatshirt hoodie with Stormtroopers from Star Wars working on the ceremony. 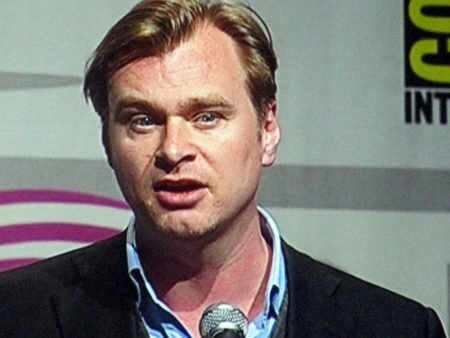 The mural is located on La Brea Ave. near San Vicente, in Los Angeles, California. So who did it? Bansky or Mr. Brainwash? Could it be someone completely different?